Certain sales are hubs of energy, whether positive or negative. Some sales are about one thing and one thing only: the garments. Nanette Lepore is not too far from some other sales going on right now, and it was such a surprise to see it’s 35th street location so empty. The deals were bonafide at this sale, and you could tell from the slightly more rough quality of the space. Located in actual Nanette Lepore E-commerce office space, this was an in house sale. This sale is a diamond in the rough. First let me tell you about the beautiful shoes that were only a paltry 50 spot per pair. 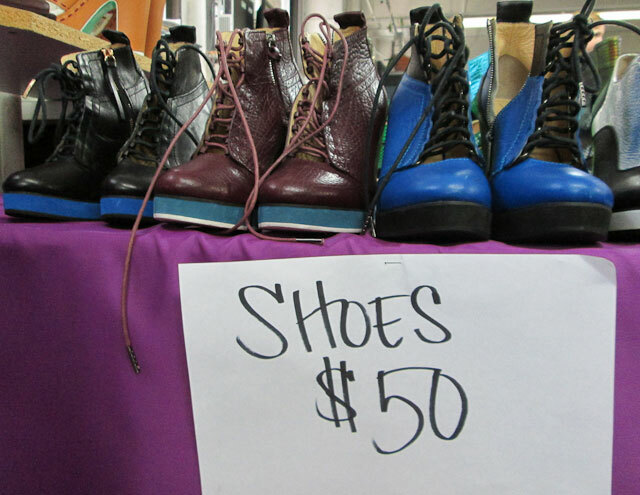 Knee high boots, neon strappy sandals, platform boots in vibrant bold blue and black, and platform wallabee-type slides were all the same affordable price of $50. Bearing leather lining and a made in Los Angeles tag, you are pretty much stealing these shoes at half a benjamin a piece. Sweaters hung out on the adjacent table and we saw neons, embroidery, and simple styles. Blends of cotton and polyester were soft feeling and looked well made. 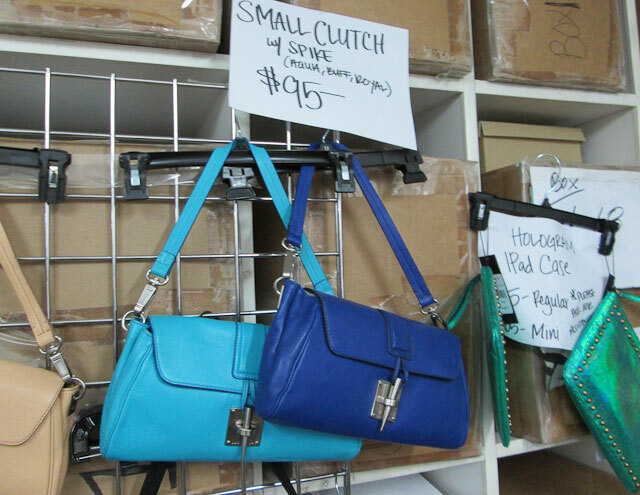 Purses were another afterthought type item, but all were below $100. A belt bin also had a few cheap thrills to choose from in neons, basic colors, and many different materials. The clothes were truly divine at this sale. Florals were the mega star of this sale, and there were maxi dresses, cocktail dresses, blouses, skirts, and blazers all in these beautiful floral prints. The prints were not your average simple flowers on solids, they varied greatly in style, shape, and size. I really adored everything that I saw on those racks, this was a hard sale to not drop a few dollars on. Again, as if you needed another reminder, wedding season is fully upon us, and there were some dresses in the ranks here that could get you loads of mileage. 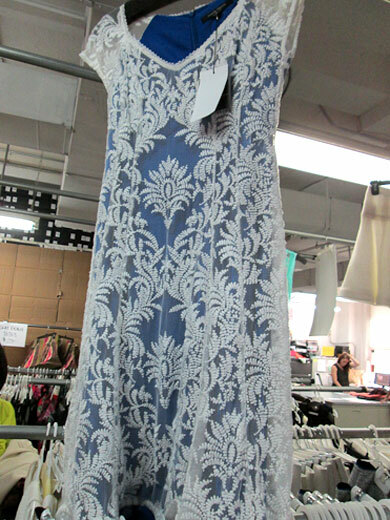 Lace overlay was fluent here, and there were overlays on many different colors. The cuts were modern and flattering, so no matter what season they were from, they looked current and striking. Bathing suits galore is another perk to this sale, as well as something we barely saw in the 20+ we have been to in the past few weeks. If you need a suit, you need to hit this sale. 100% imperative alert on that item. So with a wide variety of items to choose from, we see no reason why anyone should skip this sale. 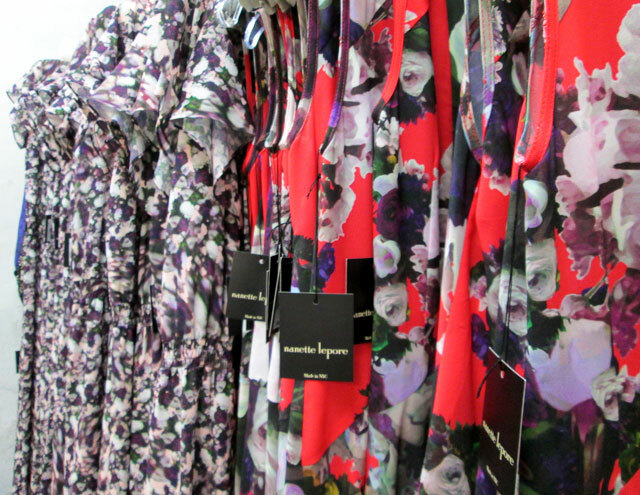 Not too avant garde but far from basic, we really love Nanette Lepore’s range, and we think you will too.